But when a dancer fully commits to the movement—when the dancer engages fully to reach a goal—the judges and the audience will engage and stay in rapt attention as the dancer performs. It is not enough to just do the right steps. Dancers need to fully commit to the movement in order succeed. The same principle is true in communication. Words alone are not enough. Leaders and organizations can say all the right things to engage with those audiences that matter most them. But when a promise or commitment is made to the audience, leaders and organizations need to follow through with action. And they need to follow through on exactly what was promised, not some half-measure or compromised action. 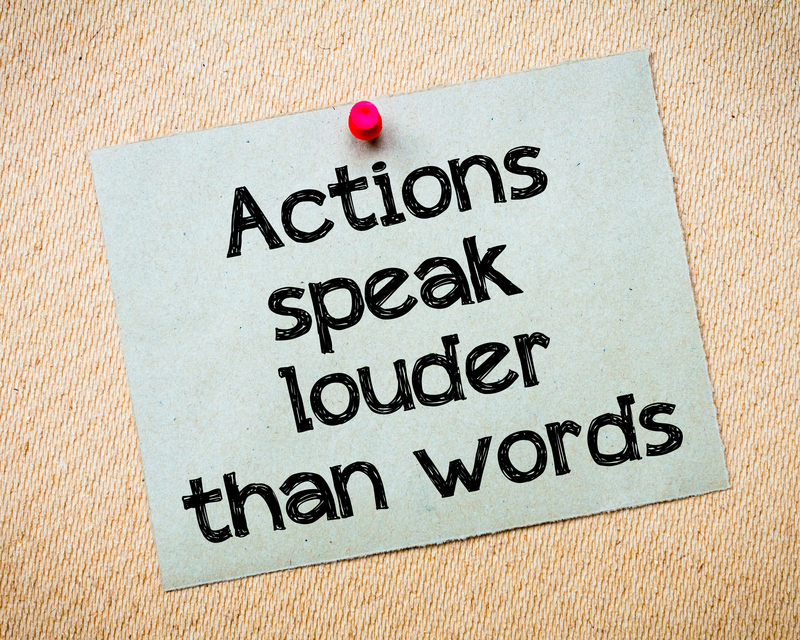 When that actions do not match the words spoken, audiences notice. Just like when a something does not fit within a person’s frame of reference, the audience will interpret for itself what this disparity between words and actions means. And ultimately trust and confidence will be lost, and those people who matter most to an organization will disengage. As the old adage goes, actions speak louder than words. Therefore, a key principle in communication is to follow right words with right action. This means figuring what it is that a leader or organizations wants to accomplish, connecting to the audience on its terms to move them to think, feel, know or do something. 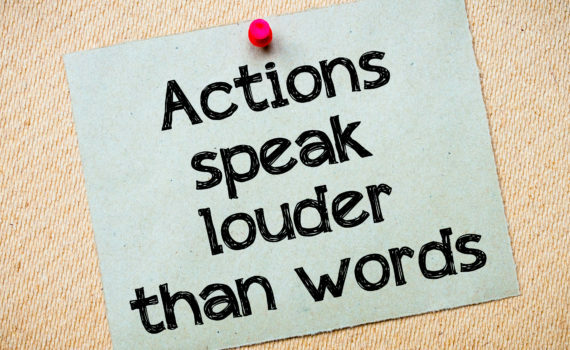 And once the right words are delivered, leaders and organizations need to commit fully to making those words, those promised actions, a reality. When leaders commit fully, and follow right words with right action, they will win the trust and confidence of those who matter most and build reputations as great leaders.